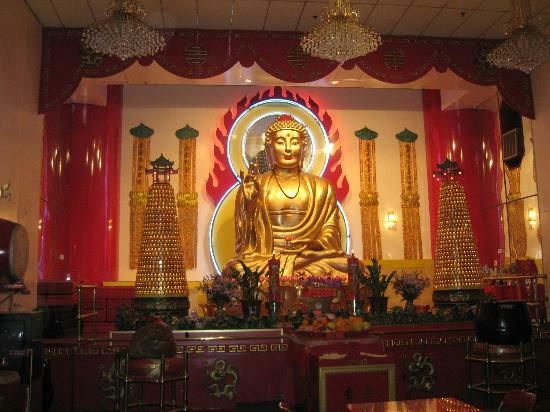 A recent case decided by a New York Appellate Court relates to a dispute over governing and control of a Buddhist Temple. To summarize, the Master of the Temple, Mew Fung Chen, excommunicated 517 members over a dispute relating to control of the Temple, which had locations in both Brooklyn and Manhattan. At a special meeting, the Board of the Temple voted to close the Manhattan Temple and excommunicate the followers of an alleged “rogue monk,” Master Ming Tung. Ming Tung’s followers constituted a majority of the congregation at the time of the excommunication. Ming Tung filed a lawsuit in Supreme Court, New York County seeking to invalidate the results of the special meeting. The lawsuit also sought to have a Court-ordered new meeting, which would be monitored by a Court-appointed official. Obviously, with a majority of the membership, Ming Tung’s followers would likely have taken control of the Buddhist Temple had such a new meeting been ordered. The Supreme Court (in New York State, this is the trial court, or lowest level of Court) initially granted the motion of Ming Tung and his followers for injunctive relief. This relief stayed the excommunication and ordered that an annual membership meeting be held, at which all members, including the excommunicated members, could be present and vote on the future of the Temple. However, the defendant, the China Buddhist Association, appealed the decision to the Appellate Division of the Supreme Court, and the First Judicial Department reversed the trial Court’s decision. The Appellate Division’s decision goes to the heart of the extent to which Courts can intervene in disputes over religious institutions. It stated that because the decision to excommunicate the followers of Ming Tung was basically a religious decision, based on religious doctrine, the Court could not intervene or order an annual meeting. The First Amendment of the U.S. Constitution guarantees to all free exercise of religion, free from federal or state intervention. Courts have therefore been very careful in cases involving disputes relating to religious institutions. The Appellate Division ruled that Master Chen acted within his religious authority when he expelled the members, and expelled members do not have the right to vote at meetings. Because of the First Amendment, the Court would not “second-guess” the decision of Master Chen to excommunicate certain members. The decision, which may be appealed to the highest Court in New York (the Court of Appeals), raises important issues of the propriety of Court intervention in disputes over control of religious institutions. A prior blog post addressed many of these issues, and discussed our firm’s success in having new meetings ordered where a religious institution was found to not be in compliance with its own by-laws or the relevant statutory authority. Given the Appellate Court’s decision, which cited a prior Court of Appeals decision relating to a dispute over elections in the Satmar Hasidism Sect located in Brooklyn, it is still unclear to what extent a Court can intervene in such disputes. Any dispute based purely on interpretation of religious doctrine, or rulings by the institution’s religious leader, are unlikely to be overturned by a Court. However, disputes which can be decided by the application of neutral (that is, non-religious) legal principles, such as those contained in an institution’s by-laws, will most likely invite Court intervention where deemed necessary. Our firm handles all issues relating to religious institutions, and invites all inquiries in this area. We will continue to follow all new legal rulings in this field and advise our clients of same.